When something is denser than water, it is negatively buoyant. When it is less dense than water, it is positively buoyant. When it has the same density of water, it is neutrally buoyant. The density of water is greater than air. When the density of a submarine (or scuba diver) is greater than water it will sink, when it is less than water it will surface. 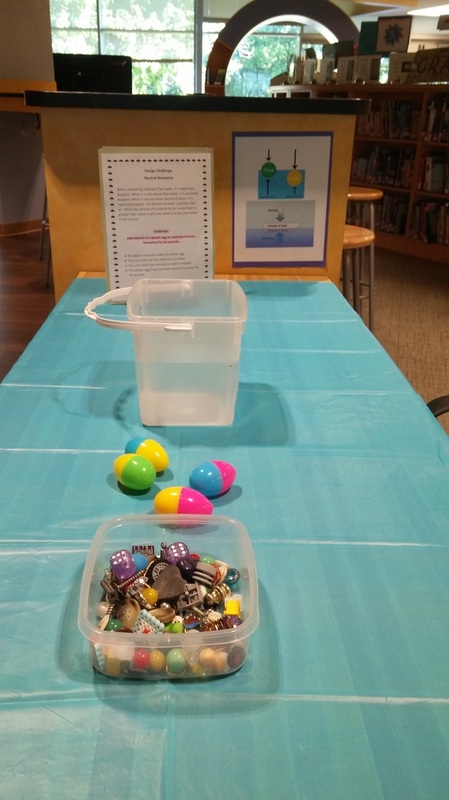 Add objects to a plastic egg to maintain neutral buoyancy for 10 seconds. You only have five minutes to make it happen. The plastic egg must maintain neutral buoyancy for 10 seconds.